Surrounded by city lights, busily moving cars, and people stands a beautiful piece of history. Deoksugung, as beautiful as it is, was once greater and even more astonishing. Behind the beauty and peace that remain today is a heartbreakingly sad history. 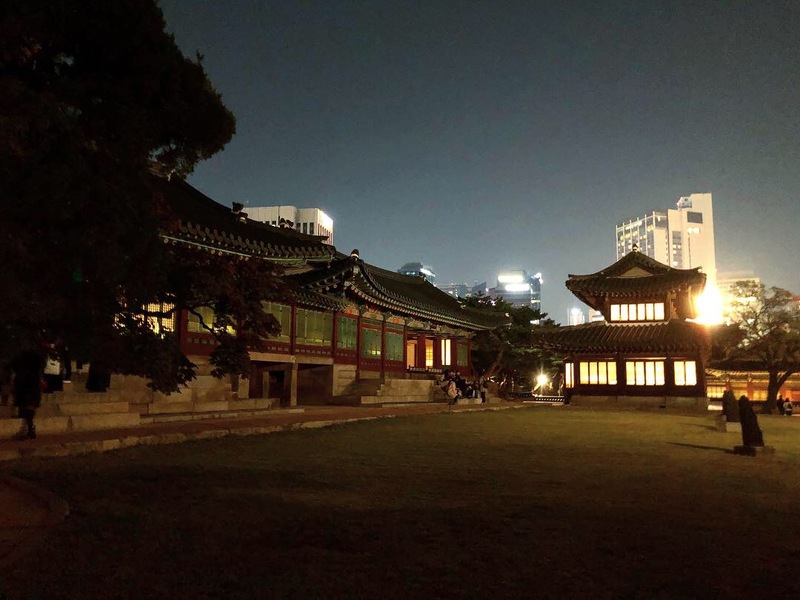 In the center of Seoul, under the bright moonlight, this SMT reporter took a walk around the palace listening to stories that have been passed down throughout the centuries. Deoksugung, originally named Gyeongungung, is one of the five major ancient palaces remaining in Seoul. It is located in front of what is now Seoul City Hall. Many aspects of Deoksugung differentiate it from the other four palaces. First, it is the first and final palace of a Korean emperor, not a king. 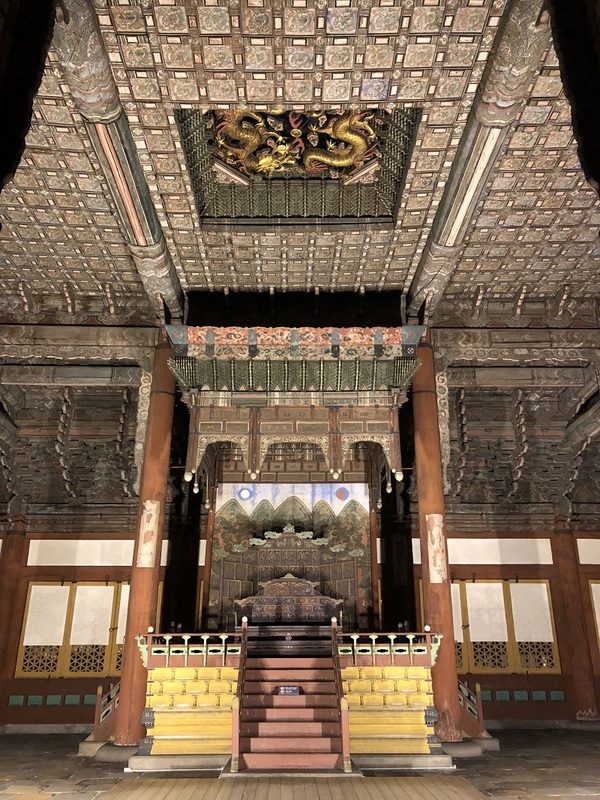 It is also historically important as it endured years of Japanese rule, was renamed to Daehan Jeguk (Daehan Empire) by Emperor Gojong in 1897, and is the home of Daehan Empire’s last emperor, Sunjong, before he relocated to Changdeokgung. Also, as many Sookmyungians would know, it is where Queen Sunheon, the founder of Sookmyung Women’s University, spent much of her life and eventually passed away at. Deoksugung is a palace that contains a lot of Korea’s past and modern history. 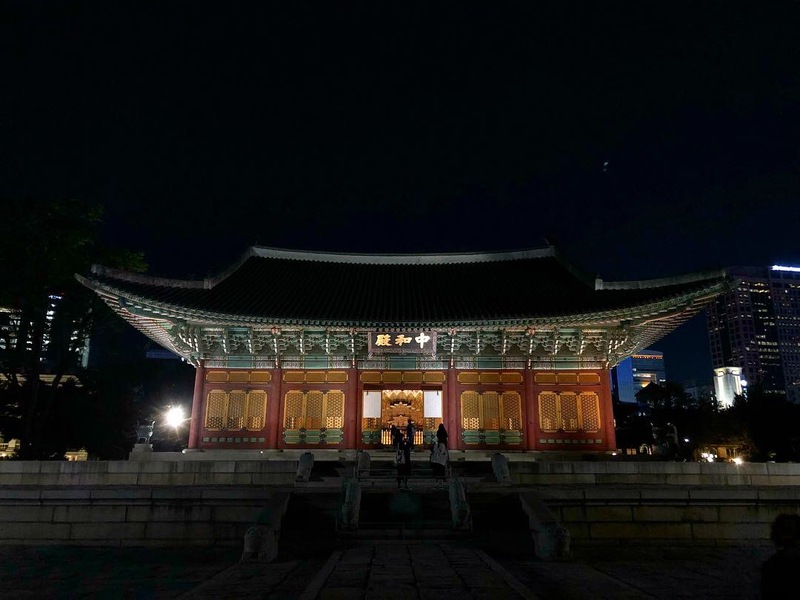 “Moonlight Walk in Deoksugung”, a program operated by the group “With Neulbom”, is a tour of the palace with commentary that takes place at night. With Neulbom is famous because it provides professional but entertaining commentary by experts in the study of Korean history. The group often operates similar tours on a variety of themes at historic places in Korea. 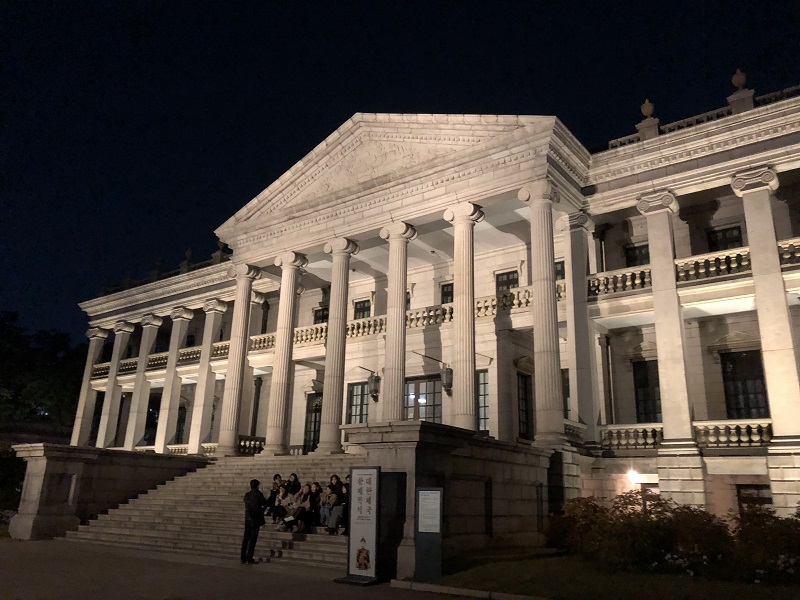 Some of its other programs are the “Ancient Palace Walk” series, “The Day in 1919, Insadong”, “Remembering the Forgotten Day, the Story of Seodaemun Prison Hall”, and the “Moonlight Walk” series. The latter program is the one this reporter participated in. 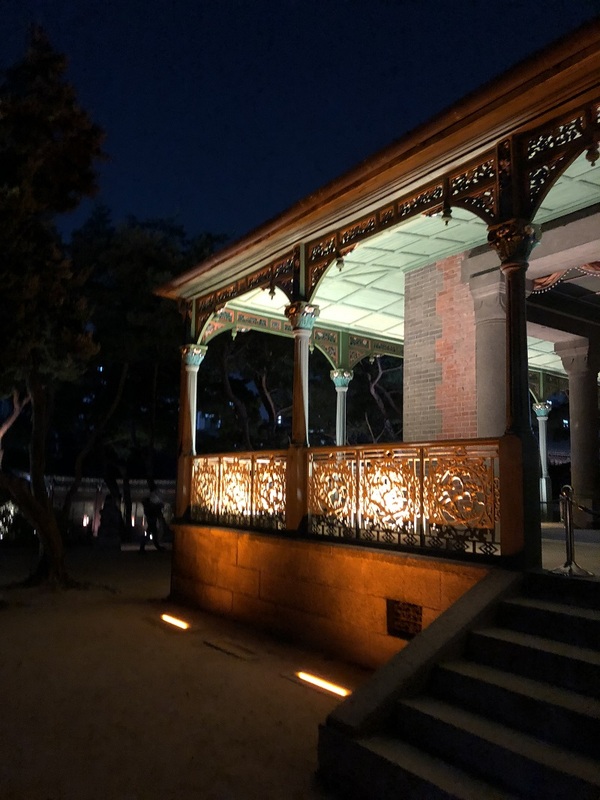 Like its name, the “Moonlight Walk in Deoksugung” is basically a tour of Deoksugung that takes place once the sun goes down, which emphasizes the beauty of the palace under the moonlight and maximizes the romantic mood. The tour starts at 7 p.m. on weekdays and 6:30 p.m. on weekends, and lasts for about two hours. Each tour group consists of a minimum of ten to a maximum of sixteen people and is guided by one commentator. Immediately after purchasing a tour ticket, a notice is sent to your phone in the form of a text message confirming the purchase and detailing the date, time, and place of the tour. On the day of the tour, the commentator sent a text message, reminding participants of the time, meeting place, and other information. Before entering the palace, this reporter had to find her tour group’s commentator and wait for other group members to arrive in front of Daehanmun Gate. At the gate, there were so many people including international and domestic tourists taking pictures, other tour groups, and those just passing by, but it was not hard to find the commentator because she wore a name tag around her neck. The group waited for everyone to arrive and then entered together. The structure of the tour was simple. For several minutes, the commentator told the group stories and facts about certain buildings or artifacts. Then, she gave the group a few minutes of free time to look around the area freely and take pictures. One of the most interesting stories she told the group was a story about Daehanmun Gate. The gate to Deoksugung was originally further out, somewhere near the front of what is now Hanhwa Building and where Seoul City Hall currently stands. It was moved back so that Sejong-daero could be constructed, but after that move, it has remained in its current location. There also used to be stairs in front of the front gate, but they were not brought along with the gate when it was moved. Were they demolished? No, they are still at their original location. The commentator jokingly said, “Go to Plaza Hotel at around 3 a.m. when there is a high chance no one will be around. Dig about three meters into the ground and then you will find the stairs.” This reporter was a bit disappointed that the stairs had not been properly preserved, but at the same time, fascinated by the story that she would not have known if she had not joined the tour. What made the tour even more special was the presence of Japanese tourists and their interpreter in the group. At first, people, including this reporter, worried that it would be difficult to concentrate on the commentator’s explanation because of the interpreter who would have to instantaneously interpret the commentator’s words. Yes, it was a little distracting, and indeed it was hard to focus on the commentary because the interpreter’s voice often overlapped the commentator’s, even though the interpreter tried her best to speak quietly. Nevertheless, this reporter felt proud and happy to see Japanese tourists interested in and willing to learn about Korean culture and history, which might be a sensitive matter for them. 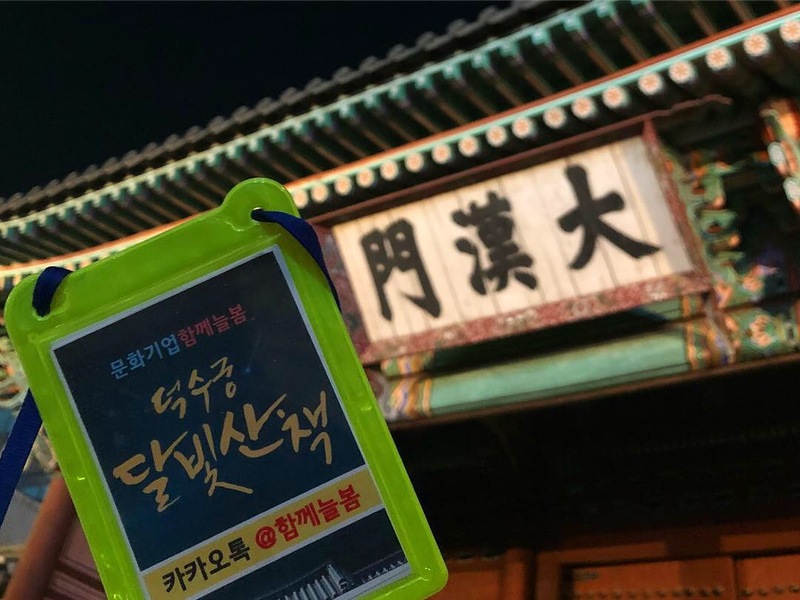 Overall, the experience of looking around Deoksugung and the stories of the commentator exceeded this reporter’s expectations. It was a good chance to learn about Korean history and be awed by the beauty of the palace at the same time. If you have never been to Deoksugung or want to learn interesting facts not taught in textbooks, knock on Daehanmun Gates right now! Now is the perfect time to visit because winter creates an entirely new scenery at the palace. Be aware that the palace is closed every Monday, though. This winter, warm your hearts and souls by listening to the touching stories of our ancestors.